Alongside maintaining a healthy, fit lifestyle, it is vital to give the body that extra push and help it needs in the form of a massage. A massage will relax the body’s muscles and tissues, calm agitated nerves, stimulate the lymphatic system, release toxins, melt fat deposits, improve blood circulation and skin texture. Known for easing knots, spasms, cramps and tension in the muscles and tissues, a long relaxing massage by our trained therapists will not only help your body de-stress and relax, but will improve your psychological and emotional well being to a great extent, clearing your thoughts and giving you a new perspective in life. Whether you’re feeling the winter blues, have weight piling on that won’t budge, are suffering from constant migraines and metabolism issues or if stress is taking over your life, there’s nothing an intensively calming body massage in London at Shumaila’s cannot solve. It is magical how something as easily accessible as a body massage has dramatic psychological and physical benefits at uplifting a person’s spirit and providing an upbeat and chirpy aura. What a body massage can do is to stimulate the nodes that are responsible for lymph drainage in the body, allowing the lymph to flow through hence releasing toxins and providing clarity of thought. A traditional deep tissue massage is known to release tension, cramps, strains, promote healing and to rejuvenate and energise the muscles that work hard all year long, whatever job you do. Shumaila’s beauty clinic has trained, well-qualified and experienced professionals or masseurs to help you de-stress and relieve your muscles. They make use of aromatic essential oils for massaging into your body and senses so that your muscles revive and rejuvenate and your inner soul stays calm. The essential oils get absorbed into the skin as well as the blood stream on application thus delivering a long term beneficial effect on your well being. Less known is the fact that the hand movements of trained therapists in a body massage, especially around the thigh and hip area can help in melting fat and getting rid of cellulite and dimply skin, leaving your skin glowing, smooth and consequently more toned. 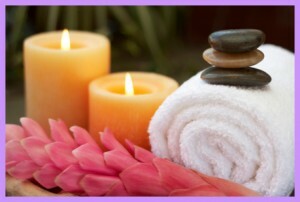 The holistic and aromatherapy benefits of a body massage are accompanied by it regardless of what massage you opt for as the kneading movement of our therapists, relaxed environment in our therapy rooms and the use of essential oils automatically create a stress free, relaxed state of mind and body, promoting blow flow and quick healing. The essential oils are known to play with the senses providing aromatherapy benefits, whist penetrating deep into the skin simultaneously mixing in with the blood stream providing substantial advantages. The price and duration of a body massage varies depending on the part of the body that a client wishes to get massaged namely the neck, face, back, hips, legs, shoulder, stomach, foot, head or the entire body. The duration may be as short as ten minutes or as long as an hour and the price ranges from 15 pounds to fifty pounds.